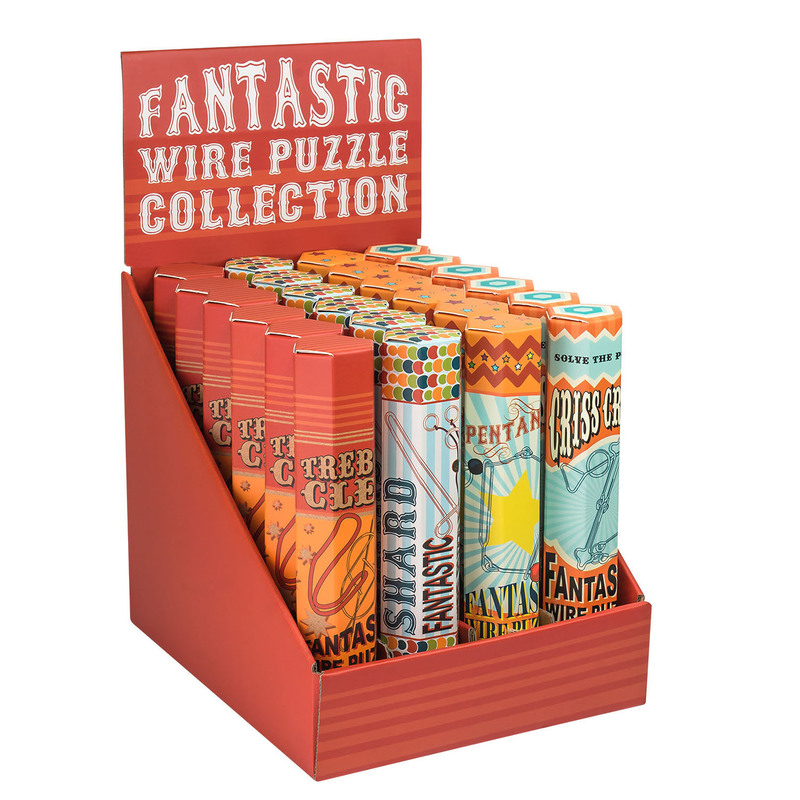 Four classic wire puzzles – all of the long, skinny variety – make up this wickedly constructed series. Only one part has to be removed from each puzzle shape. Supplied in original, beautifully presented card tubes.